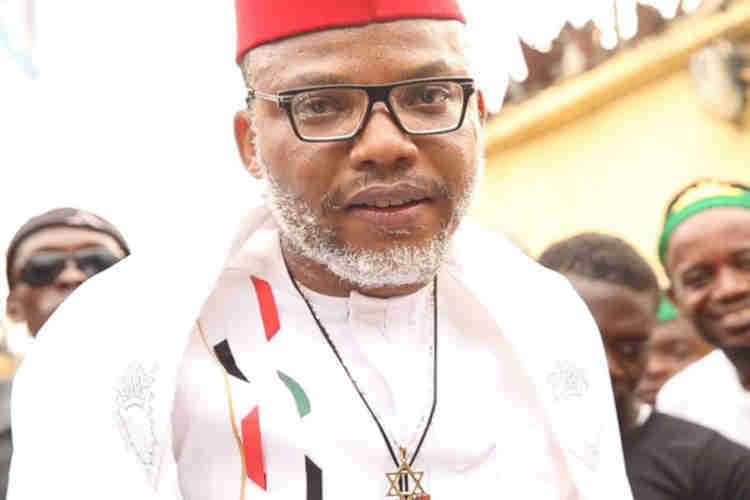 ISRAEL – Leader of the Indigenous People of Biafra, IPOB, Nnamdi Kanu, has reacted to the travails of the Chief Justice of Nigeria, CJN, Justice Walter Samuel Nkanu Onnoghen, saying only Biafra can save the embattled Chief Judge. It was widely reported yesterday that the Federal Government of Nigeria and the All Progressives Congress, APC, led by President Muhammadu Buhari, ordered Justice Onnoghen to immediately vacate office over allegations of false assets declaration. It was further learnt that the government will on Monday, January 14, 2019, arraign Justice Onnoghen before the Code of Conduct Tribunal, CCT, in Abuja, Nigeria’s capital on charges of failures to declare his assets as required by law and for operating Bank Domiciliary Foreign Currency Accounts. The charges against the CJN has already been filed and served on him last Friday at his official residence in the Federal Capital Territory preparatory for his appearance at the tribunal. Reacting to the development during a live interactive session on Radio Biafra Saturday evening, Kanu said the move against Justice Onnoghen clearly shows that the Buhari-led government wants “Fulanis” to control every sector in the country. In his words: “The reason they want to sack Onnoghen is because they want every APC case that finds its way to Supreme Court will automatically win. “Only Biafra can save Justice Onnoghen. They(Fulanis) want everything – the Army, the Police, everything. Anybody from Efik, Ibibio after today if you rise up against Biafra after what they have done to Onnoghen, I will know you are not fit to be called a human being. “Cross River people will say leave us alone, Cross River is not part of Biafra, they want to dominate; now that they have removed Justice Onnoghen what are you going to do? “If you know anybody who is related to Onnoghen or from Cross River state or Akwa Ibom, Efik, Ibibio and Oron, you must now open your eyes very clearly and see what is in store for you.